From breathtaking valleys to striking mountains and everything in between, Patagonia in the deep south of Chile & Argentina is the perfect retreat for the adventurous traveller looking for wilderness and the beauty of untouched nature. Luxury camping has become a popular accommodation choice in recent years, but don’t be fooled. 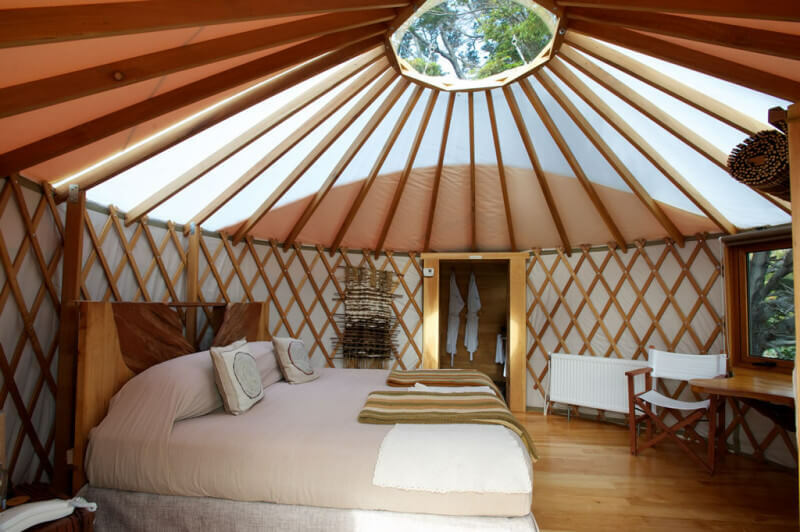 The glamour of glamping doesn’t mean you lose any of the excitement of being one with nature. Freely explore the expanse of the end of the world and fall asleep with its untamed night skies. Glamping in Patagonia, is possible in places like Torres del Paine National Park in Chile and is sure to bring you closer to the beautiful environment around you. 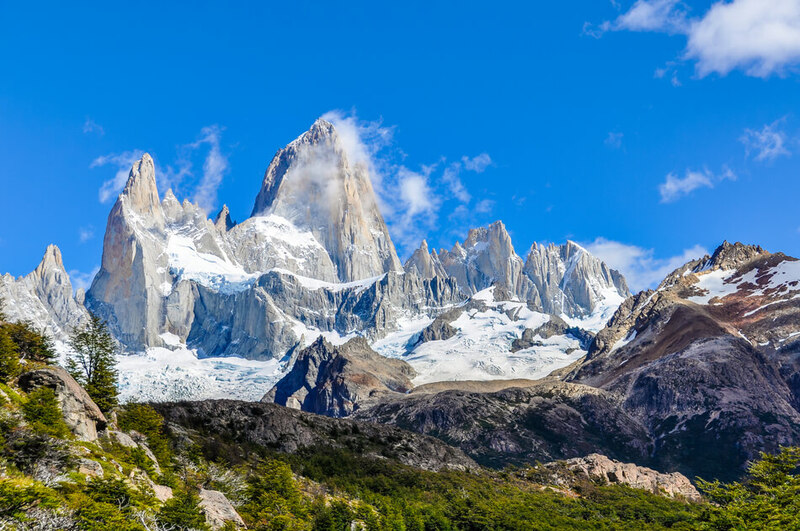 The mountains of El Chaltén in Argentina are just begging to be explored. The surrounds are perfect for biking, hiking and horseback riding and appreciating the views of stunning Mt. Fitzroy and surrounding Los Glaciares national park. You can choose to take it easy on a low-intensity stroll, or challenge yourself on an ice trek to nearby Viedma Glacier. No matter which Patagonia tour you fancy, the pristine beauty of El Chaltén will leave you breathless. Forge your own path through the wild from behind the wheel on an epic scenic self-drive Patagonia tour. The roads may be rugged but you never need to worry about losing your way, only finding the best place to hop out for the perfect photograph. 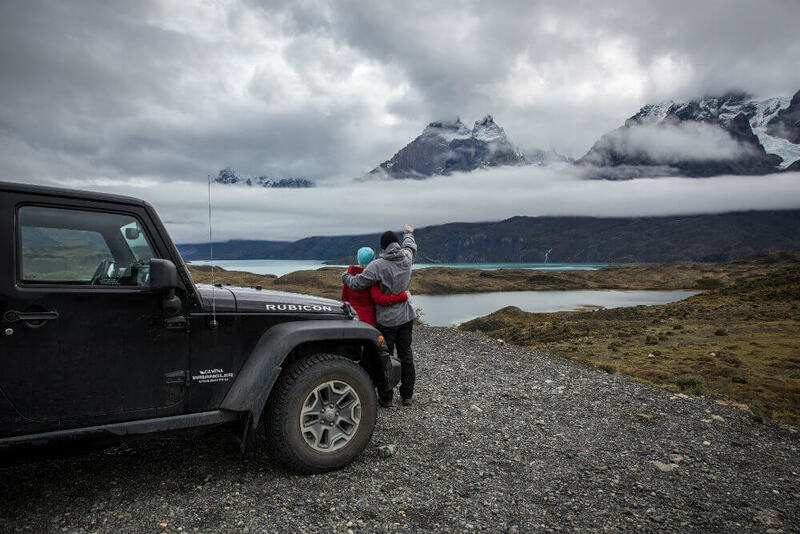 Your semi-guided jeep adventure combines some of the best Patagonia hotels with your own vehicle, pre-set navigation system and audio tour or a guide if you so choose. 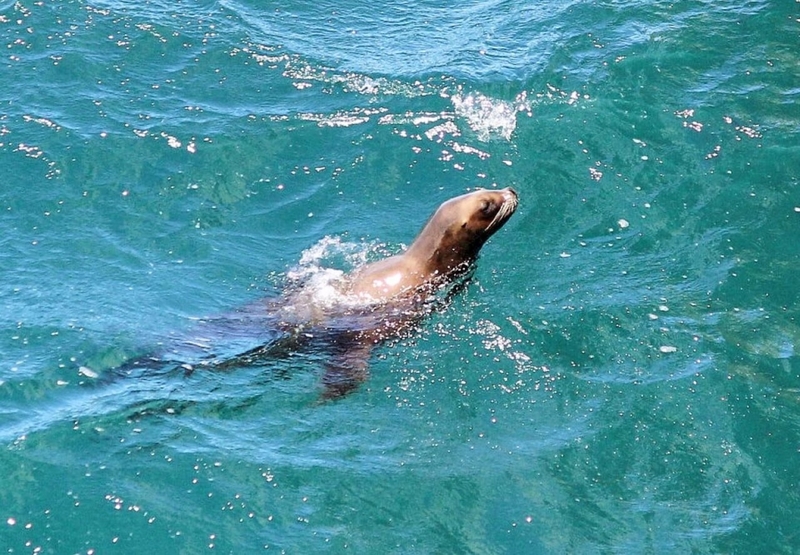 You can dive with sea lions from Puerto Madryn in Argentina. Madryn and Peninsula Valdés have become more and more popular for scuba diving in Argentina and for good reason. Weave through interesting shipwrecks and swim among the marine life, or if diving isn’t your style, opt for other water sports like kayaking or windsurfing. With heart-stirring mountains as your backdrop and hundreds of kilometres of sweeping plains, Patagonia might just be the perfect place for horse riding. Whether you’re a total novice or ready to blaze a trail, you’ll find that there’s something special about appreciating Patagonia’s famous gaucho culture in a land as wild and desolate as this. 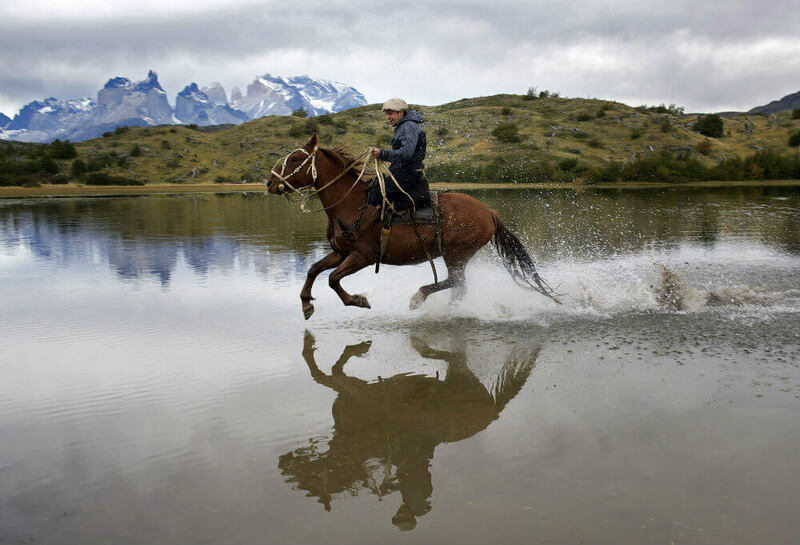 Horse riding Patagonia tours are offered throughout Torres del Paine, or from El Calafate to El Chalten, and possible by staying at specialist luxury lodges like Explora Patagonia, Las Torres or Eolo. The depths of the ocean currents this far to the end of the world once upon a time haunted the sturdiest of seafarers and explorers, but today the extremes of Cape Horn are yours to conquer. An expedition cruise onboard a luxury vessel like the Australis to the depths of the end of the world makes taking in this isolated natural playground a stylish and interactive affair. 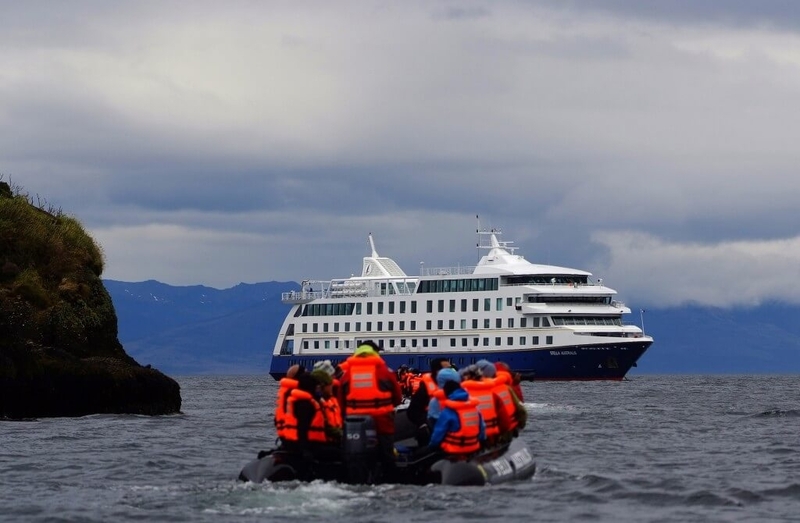 Sail past glaciers, channels, fjords and view penguins, whales and sea birds galore on a patagonia cruise adventure. 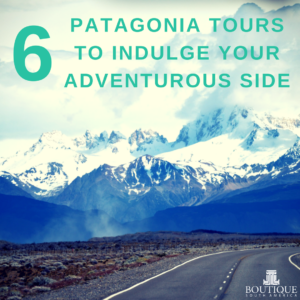 Patagonia will leave you inspired, invigorated and exhilarated. Indulge your wild side you’ll be captivated by what awaits in one of the world’s most spectacular places.